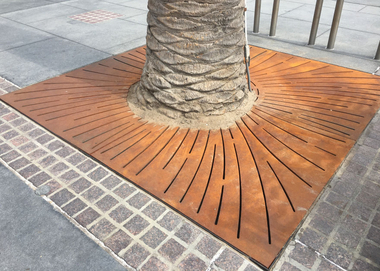 Canterbury’s tree grates were crafted with custom openings to showcase the Barouni olive trees at the new Broad Museum in downtown Los Angeles. These one-of-a-kind illuminated planters highlight a dazzling entrance to the new LINQ entertainment district on the Las Vegas Strip. 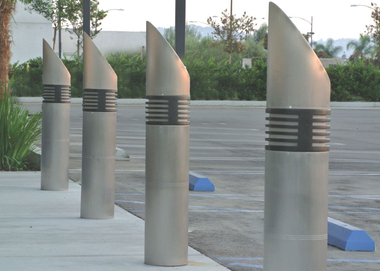 Canterbury's custom benches light up the new LEED Platinum certified ARTIC transportation hub in Anaheim, California. Custom designed cast aluminum tables and chairs bring new life and energy to one of the country's oldest outdoor markets. Seating To Last A Lifetime. 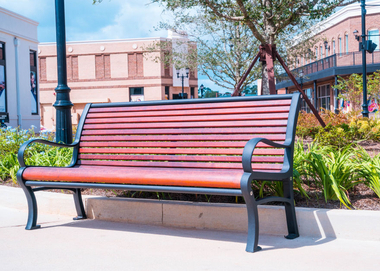 This Embarcadero bench has thick, robust castings making it ideal for urban plazas and corridors. 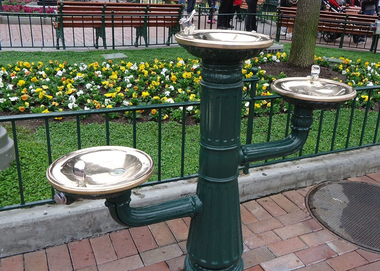 From Central Park to Disneyland, landscape architects and planners turn to Canterbury Designs for premium site furnishings. For over 50 years, Canterbury's commercial site furniture has graced public gathering places and streetscapes across the country. 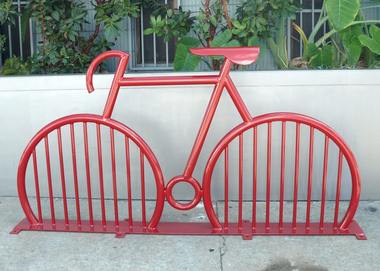 All of our site furnishings -- including benches, receptacles, tree grates, bollards, drinking fountains, planters, and bike racks -- are made to order and can be customized to fit each customer's particular needs. 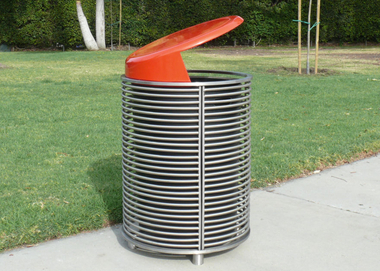 Contact us to explore the site furniture possibilities for your next project.